Note: I haven’t been paid or incentivised in any way to review the Noisy Lobster. But I love it so much and my guests need to know about this! 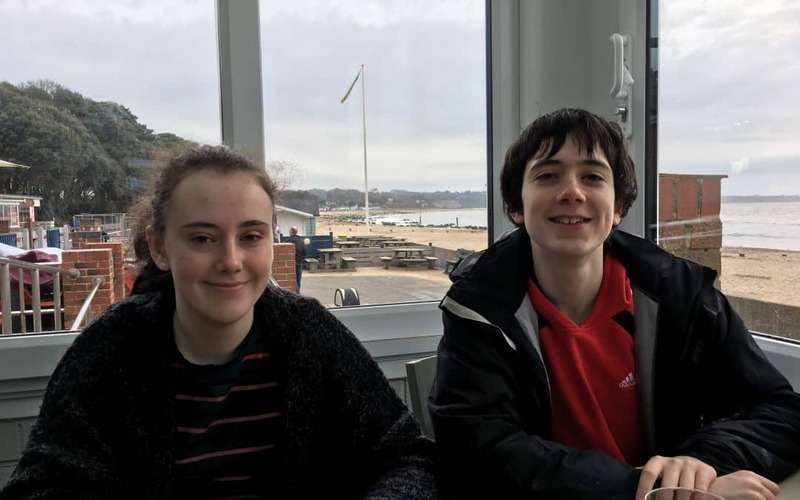 When we come down to Mudeford, we like to eat out at least once a day. Most of the time we go out for lunch and sometimes dinner. 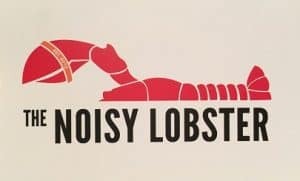 But probably our favourite meal of the whole week, is when we go to the Noisy Lobster for breakfast. 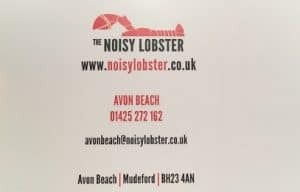 The Noisy Lobster is situated on Avon beach near Mudeford. From our unit at Sandhills it’s about a 10-minute walk along the beach. 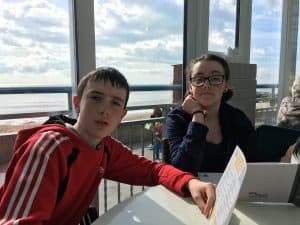 It’s a cafe which is open all day from 8am-11pm, but we very much prefer to come for breakfast, as the place is so popular that it is often very full at lunch and dinner time. That’s going to make any food taste delicious and any company seem scintillating! The Noisy Lobster doesn’t need any help with the food though – their breakfast menu is just perfect. Of course there is a Full English breakfast option – the Gale Force 4, 6 and 8 – depending on how many pieces you have. They do lovely poached eggs too, but the reason my children drag me here every time is the buttermilk pancakes. They come in two options – with fruit and compote, or with bacon and maple syrup (Mountie’s choice). I like both, but my chidren are defintiely bacon people – and I have to say that the bacon (on this and all the other breakfast options) is just extraordinary. The slices are thick and succulent and full of flavour. I inderstand theat the pork is local and it is definitely worth a try. My daughter has been experimenting with vegetarianism recently, but I’m afraid she just coudn’t resist! So what else to say? Lovely coffee and a wide variety of teas. Great juices and smoothies – I particualry enjoyed the berry smoothie I had on my last visit. 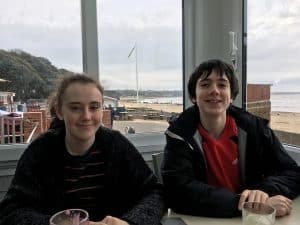 I can’t imagine a trip to Sandhills without breakfast at the Noisy Lobster – and if you are a seafood fan then it is worth booking in for lunch or dinner as well.